This 4 Day backpacking trip along the Shipwreck Coast in the state of Washington’s Olympic National Park is a great (and easier) way to get into the wilderness and get away from people. 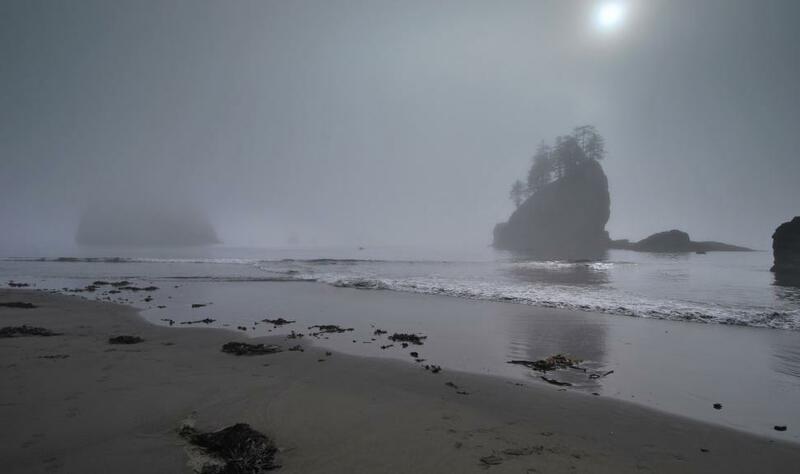 This 4 day trip has you hiking along the mid-section of the Olympic Coastline, about 20 total miles. Shipwreck Coast was named for its memorials to long-ago shipwrecks of Norwegian and Chilean freighters. While there is little elevation change over the entire trip, the hike can be slow going in some areas due to some of the headlands – areas we have to hike up and over to get away from higher tides, pebbly terrain in some areas and sections that can only be passed during low tide. This also gives you time to explore the beach, tide pools and sea stacks. *Route Variation – Our specific hiking route and campsites on each departure are dependent upon permit availability. You will start the day meeting your guide in Port Angeles. There, you pack up and head to the hike start point at the Ozette Lake campground. From Ozette Lake, we will hike 2.8 miles to the coastline at the scenic Sand Point. From there, the group heads south along the coastline 2.1 miles to Yellow Banks where we camp for the evening with great ocean views, exploratory opportunities and very few others in the area. This morning we pack up camp and head down the coast to Cedar Creek. The distance is 6.4 miles but this section of shore is rugged, with areas of rocks, gravel and driftwood. As a backup option for this day, we can choose to hike to Norwegian Memorial which is only 5.1 miles. This section of coast is not hiked as much as the Ozette so you won’t see as many people on the rest of the trip as you did on Day 1. After breakfast, we explore further down the coast with only a day pack. Our goal today is to explore tide pools and have the freedom of just enjoying a day along the ocean. The group has the option of moving part way back to the trailhead in order to shorten the hike out on the final day. The group heads back to the Ozette Trailhead along the way they came, enjoying the picturesque sites of the many sea-stacks and tide pools as they make their way back to civilization.